Hello Friends! My sincere hope is for you and yours to have a healthy, happy and prosperous 2019. Thank you so much again for allowing me to assist you, your family and friends! I am filled with appreciation and honor. The number of “existing” home sales for February 2019 for the Metro were higher as compared to the prior month and represented a -5.5% decrease as compared to the same time period last year. The average “existing” home sale price for February 2019 was also just slightly lower than the previous month but +5.9% higher as compared to the same time in 2018. Pending homes sales, which are homes currently under contract but have not closed yet, were higher for February (2538) as compared to the prior month (2335). Supply of Inventory for existing homes in February was slightly less than the prior month but equal to the supply of inventory for the same time last year. New construction inventory was higher to that compared for the same time last year and is now reflecting a 6.2 months supply of inventory. The 6.2 months supply of new construction inventory continues to reflect a Neutral Market not favoring either Buyer or Seller. An uptick in home sales for February as compared to the prior month along with an increase in Pending home sales is reflective of a revival of Buyer interest. 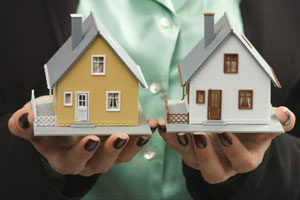 That is to say that Buyers that have either held back in entering the housing market or are just now showing interest in purchasing a home are starting to emerge. A large part of the reason for the entering into the housing marketplace is likely due to the decline in mortgage interest rates. Many areas of the Nation experienced a slowdown in Pending home sales for February. However, as I have constantly said, real estate is local. And in our Metro, the sharp increase of Pending Sales in February is a key factor to focus on as to the health of our local real estate market. Another key factor to focus on is that the average existing home sale price was slightly lower than the prior month. This is evidence, in my opinion, of the beginning of a slowdown in home price gains. In other words, home prices are not increasing as rapidly as we have witnessed in the recent past. So what does this mean? In my opinion, we have every good reason to expect our Metro housing activity to increase in the upcoming months due to lower interest rates, moderating housing prices and job market remaining on stable ground allowing for more Buyers to enter the marketplace. A moderating market that does not overly favor either Sellers or Buyers is, for another month, starting to take shape going forward. The upper priced market proved to be a slower market for February in terms of sales. My belief is that “lack of affordability” for higher end homes (not first time/entry level homes) is largely the reason for the slowdown. And, I would expect that we will see the beginnings of an oversupply of higher end inventory. However, ALL HOUSING IS LOCAL and in our LOCAL MARKET, for another month, the lack of existing home inventory will preclude many Buyers, especially first time/starter homebuyers, from taking advantage of purchasing a home again in 2019 unless our existing inventory starts to increase. Entry level housing is being met with high demand and in many cases, we are still witnessing multiple bids on the same home. We have Buyer demand. So for another month, in my opinion, it is just a question of Supply as to how our housing market will fare going forward. As you may recall from my last post, Average Days on Market before a home goes under contract will be a very important statistic to monitor in terms of a signal of a swing in the Metro Housing. The longer homes, on average, “sit” on the market without going under contract, the greater chances of home prices slowing or possibly decreasing. For February, Average Days on Market did not increase as compared to the same time last year. For another Month, my expectation, in the immediate future, is that our Metro will continue to be predominately a Seller Market especially for ENTRY LEVEL Existing Homes. I do anticipate that we will continue to see a slowdown in upper end existing home sales and prices. That is why it is so important to monitor if the supply of inventory increases. 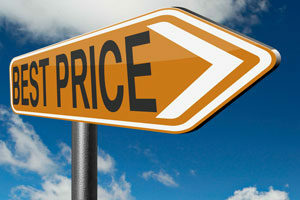 But, most importantly what price ranges of homes dominate any significant increase in inventory. If you are wondering if this news has affected how much your home is worth in today’s market, email, text or phone me and I will give you a quick update of housing prices for your area even if you are not planning on selling this year. About the Author: The above Real Estate information on MY TAKE on How The Metro Kansas City Housing Market Is Doing was provided by Suzanne Hinton, an Area Specialist and Top Producer in assisting people moving in and out of North Johnson County KS for the last 27+ years.